The recurring story of love, friendship, family, and the constant struggle to go against the norm are revisited time and again in every version of “Meteor Garden,” which never failed to capture the hearts of viewers. If you’re a true MG fan, you will probably notice a few differences here and there. Why don’t go down memory lane with this cult classic and check them out. In the Taiwan original, Shan Cai and the F4 went to Ying De University, which is actually the National Chung Cheng University (NCCU) in Taiwan’s Chiayi province. In the 2018 reboot, the story happens in Ming De University, which has a good reputation and is considered an elite school. It was shot in Xi’an JiaoTong Liverpool University in Shanghai, China. 2001’s Taiwanese version ran for 27 episodes while the 2018 Chinese reboot was announced to have 48 episodes overall creating a longer and more complex storyline compared to all earlier versions. The 2018 reboot features a younger cast of the two leads. Jerry Yan was 24 years old at the time while today’s Dao Ming Si, Dylan Wang is only 19 years old. While Barbie Hsu, the Shan Cai of the earlier version was already 25 and the reboot’s Shen Yue is only 21. A true testament that love transcends all ages and everyone can be young at heart. There used to be a “red card” with F4 written on it, which is a warning for anyone who gets it in the way of the four alpha males in the campus. Instead, there is a transparent joker card but still with F4 written on it – a signal to whoever wants to challenge the top four guys to a bridge game. The loser will receive physical punishments ranging from cleaning the school for the whole semester to staying in the biology lab for the entire night. Modern touches were integrated in between scenes, such as the inclusion of smart phones, QR codes, selfies, livestreaming, and other millennial moments like the way they deliver lines now which is more adaptable for the current generation. So which do you prefer? Did nostalgia hit you hard? Did you fall in love with the 2018 reboot? Or does your heart still belong to the 2001 original? With iWant TV now giving a chance to watch the original and reboot versions, fond memories are sure to be made from each. Catch the kilig-inducing moments anytime, anywhere via livestream on iWant TV for FREE. iWant TV is a free streaming service, entertaining Filipinos with an extensive library of regularly updated TV shows, movies, Asianovelas, news, sports, live events, and other exclusives. Available in the Philippines via iOS & Android app or through www.iwantv.com.ph, users may simply register an email address or any mobile number to start enjoying free access to the variety of content offerings on iWant TV. For more information, visit the website or follow them on Facebook, Twitter and Instagram and @abscbnpr on Facebook, Twitter, and Instagram or visit www.abscbnpr.com. No other version can beat the original!! 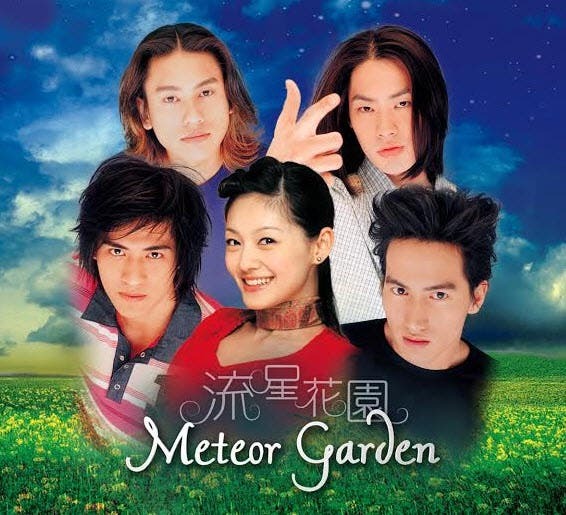 I really love the Meteor Garden China..